Travellers to beautiful Virgin Gorda, the third largest island in the group that makes up the British Virgin Islands—and a favorite destination for sailors, divers and snorkelers, may not have a visit to a bookstore or a library at the top of their sightseeing list. But should you find yourself in this part of the world, after playing in the beautiful turquoise water, soaking up the warm sun, and hiking to the peak of the island, relaxing with a good book may be just want you want to do. Virgin Gorda from a height. A bay on the northeast side of the island. Part of the charm of Virgin Gorda is its size and the friendliness and courtesy of the people one meets there. A greeting (good morning, or good afternoon, etc.) is given—and expected--before business is conducted and a tourist’s errant suitcase is not only returned when left behind at the ferry dock, but brought to her apartment door; a proffered tip is refused. Mad Dog is situated at the southern end of the island, not far from the paths that descend to one of the island’s famous beaches, the Baths, where you can swim and play among giant boulders. Make your way through the cave that they form to the next beach over, Devil’s Bay. One of the pools at the Baths. During our visit to Mad Dog we ate simple but delicious sandwiches, shared some pina coladas, and enjoyed chatting with both Inge and Rose, whose friendliness and enthusiasm for life in Virgin Gorda is infectious. I also had the chance to look over the selections on the restaurant bookshelves most of which offered traditional vacation fare, but I did spot a copy of John Irving’s A Son of the Circus, which, like so much of his work, unsettled and fascinated me when I read it some years ago. The Mad Dog sign -- with a nod to Noel Coward. ....even the books look relaxed. I had to find out more about this property just steps away from Mad Dog. the future owner will be an eccentric recipient of inherited wealth! * Ms. Giacinto appears in the cookbook Morgan Freeman and Friends authored by Wndy Wilkinson and Donna Lee., with an intro by the actor. Mr. Freeman's proceeds from the sale of the book are donated to the Grenada Relief Fund. 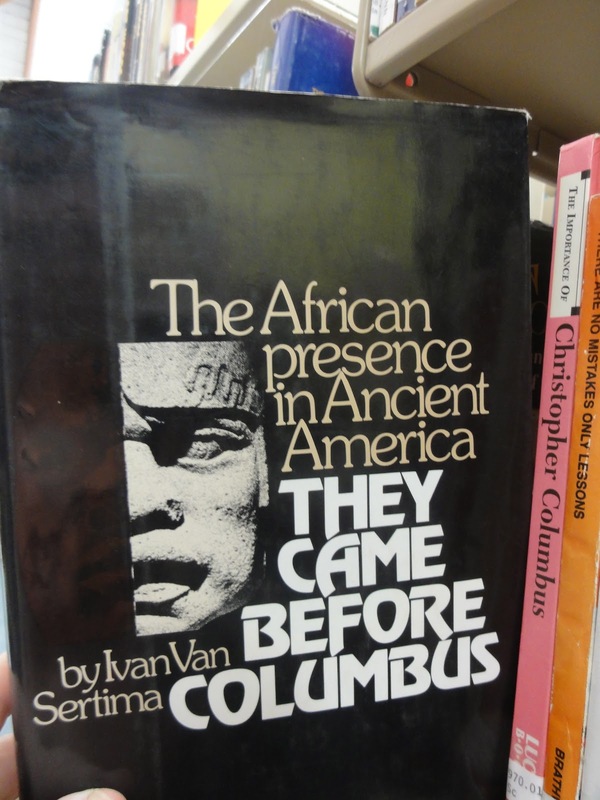 I also found plenty of books in the apartment we had rented, left behind by the owners or other travellers. Interestingly, there seemed to be a dog theme at work here. The blurb on one jacket cover described the author as “A dog who writes his memoirs,” another featured a “dog with a devastating secret”, and a third, a dog who helps a wounded marine recover! One can only imagine the care that must have gone into protecting the books from the heat, humidity and salty breezes that blow night and day on the island. As far as I can tell, the library building was demolished, along with the rest of the hotel in 2004, but I’m hoping to learn more and would love to find out the fate of their collection and to find a photo of the library. Any Virgin Gorda lovers out there with some older vacation snapshots? 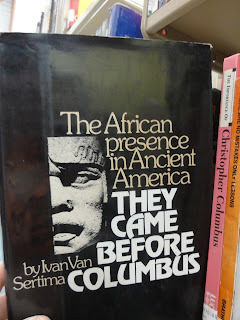 But while I was a visitor myself, I wondered where else books could be found and what resources full-time residents and students on the island have. 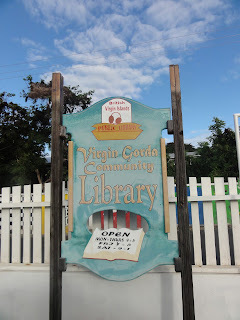 Happily, I was directed to the Virgin Gorda Community Library. To find it, you have to drive south, down Crabbe Hill Road, which runs roughly parallel to the main road that leads to the marina, the ferry, restaurants and shops frequented by tourists. Watch carefully on your left for a clinic, the library will be on your right with only a modest sign to guide you. from the hot sun and a peaceful and inviting place to read. 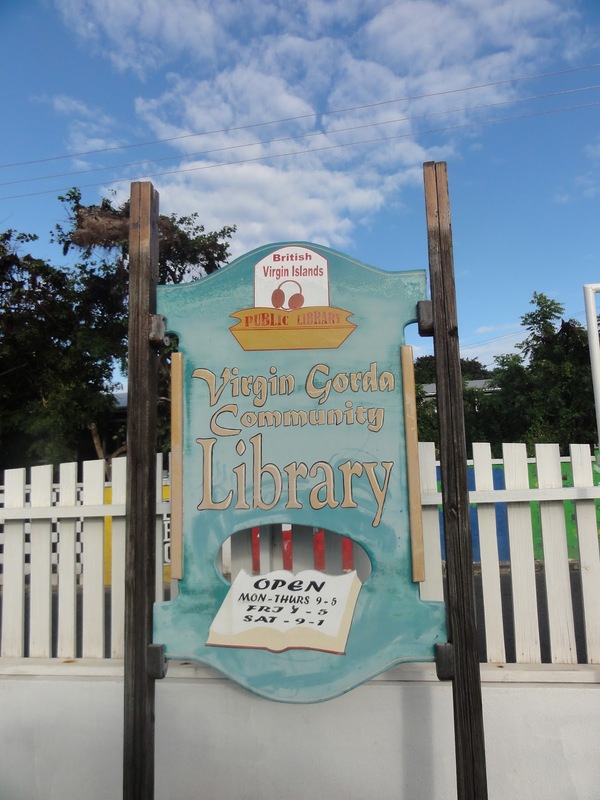 The week I was in Virgin Gorda the library was closed for Christmas and Boxing Day, but I was fortunate to find it open on the last day of our stay and to have the opportunity to speak with head librarian Tahryn Baptiste. The day we visited, Ms. Baptiste was working alone, but graciously made herself available to describe the library, telling us that it is primarily used by young people. Artwork by some library patrons. 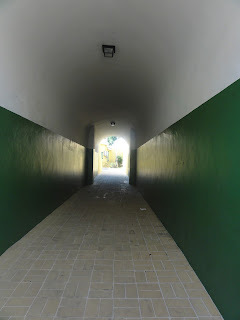 Spanish language materials are available as are classics of English literature and the ubiquitous Harry Potter novels. Presently, the card catalog is not computerized. I have to confess a fondness for this system that I remember from my Chicago childhood, with the stamping and insertion of cards in their little pockets rendering the library transaction more personal. 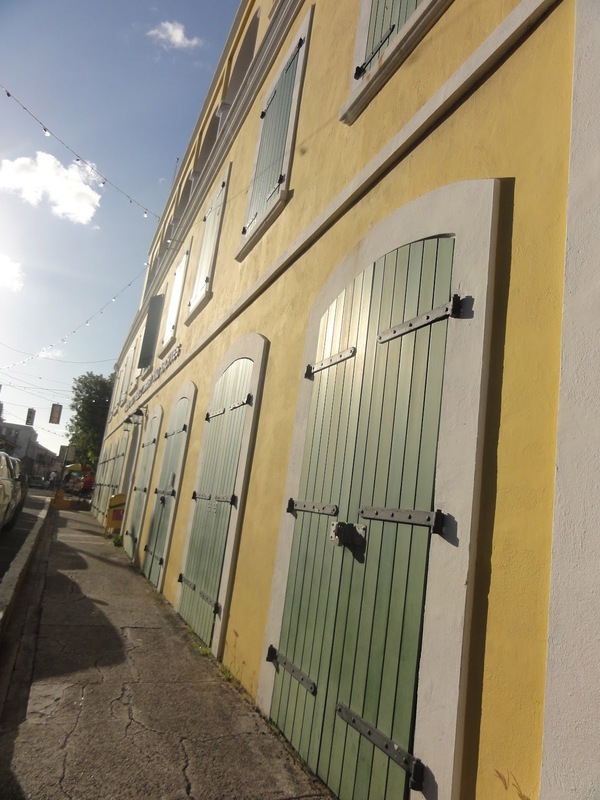 Unfortunately, the library was closed owing to a shortage of fresh water that was affecting many businesses and residences on St. Thomas that week. But I did get the chance to admire the lovely yellow building with its green shutters and to glimpse into the building’s courtyard. Sitting regally on the corner of Dronningens Gade and Bjerge Gade (the street names reflect the island's history as a Danish colony) in a business district where aggressive shopkeepers or their employees attempt to lure you in with promises of bargain jewelry, the building appeal as a quiet and dignified oasis. More on the Virgin Islands Public Library System, it’s Carribean collection, and branch libraries, can be found here. to hold a cabinet level office in the Virgin Islands. bustling shopping area lies just out of sight. 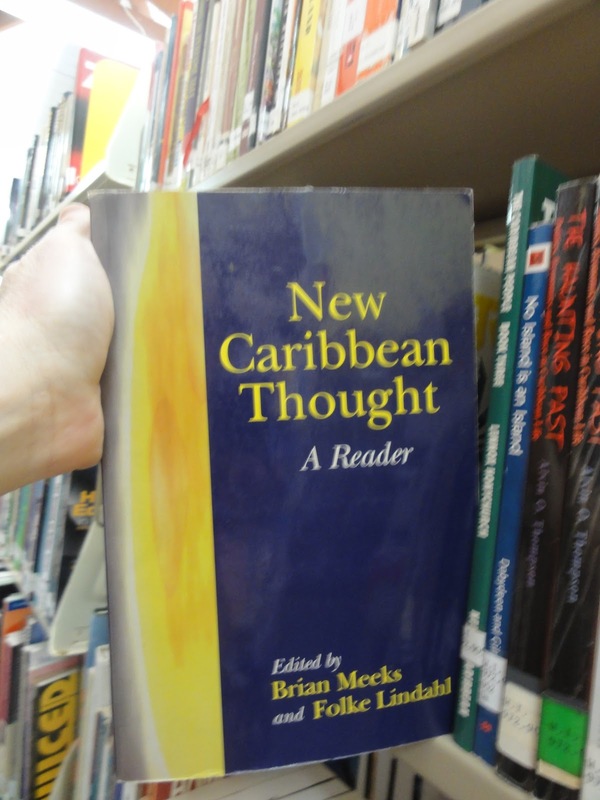 The University of the Virgin Islands (in St. Thomas) also publishes, The Caribbean Writer, an annual anthology showcasing the work of established and emerging Caribbean writers. * Clearly just a tiny sampling. If you have a recommendation for this list, please leave a comment or email me at junast20@gmail.com! A library with a card catalog! Beautiful! The online systems are way better, but man I miss those beautiful things with those wonderful pull-out drawers. This was a terrific post. You need to travel more so you can report on more libraries, bookstores, and hotel collections. :) Very cool how your suitcase was delivered to you, and the reward refused. Edwige Danticat's books have long been on my to-read list. I believe there's a trilogy that's now complete that I want to read. I've been a bit intimidated - three very long books - but eventually I will dive in. I can recommend "Texaco," a novel by Patrick Chamoiseau, about the island of Martinque. I recall it being a challenging read - after I reached a certain point, and realized what was going on, I went back and re-started from the beginning - but very rewarding. I've read Edwige Danticat in the New Yorker, but want to tackle something longer, as well. Thanks for the encouragement re: reporting on the go. Now all I need is a foundation that wants to support me! !